Hypnosis has been considered for the past 250 years by the scientific community as being nothing more than a cute trick, with little consideration put in for in-depth research into this highly controversial state. Some psychologists believe that a hypnotized person is unconscious, resembling a sleep walker, while modern research suggests that the case is actually the opposite, the subject being fully awake, albeit with little peripheral awareness. Nevertheless, it’s a poorly exploited field, a fact which Scandinavian researchers hope to change after a recently published paper which claims it has proof that the hypnotic state actually exists. The study, conducted by researchers from Aalto University in Finland and the universities of Skövde and Turku in Sweden, followed the curious case of a woman who could enter a state of deep hypnosis instantly just at the utterance of a word (her name and afferent hypnotic keyword has not been disclosed for reasons self-explanatory). When enduced, the woman’s eyes became glazed, a sign of hypnotic state advocated by psychologists for decades. 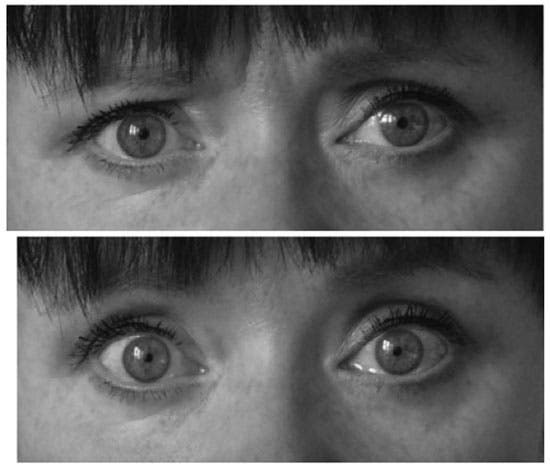 The researchers studied the strange stare in great detail by using high-resolution and FPS cameras. The physical signals of hypnosis have seen little attention so far, and the scientists hoped to convince the scientific community of the existence of hypnosis by providing physiological evidence. Researchers used high-resolution eye-tracking methodology and presented a set of well-established oculomotor (eye-tracking) tasks that trigger automatic eye behavior. Their results showed that the glazed stare had measurable changes in automatic, reflexive eye behavior that could not be imitated by non-hypnotized participants. The researchers investigating this highly controversial psychological state believe this empirical evidence might provide proof enough for at least a small degree of acceptance in the scientific community for hypnosis, which might allow for more in-depth studies once it’s taken serious. For centuries researchers have debated if a special hypnotic state exists or whether it is just about using cognitive strategies and mental imagery in a normal waking state. I feel like I should end this article with a note regarding my personal opinion on hypnosis. While I believe hypnosis is a complex psychological state, one of the many subterfuges of the human mind, 99.99% of hypnosis cases you see in pop culture or a Vegas show are completely bull. Be careful where you drop those $49.99 for that extremely innovative new hypnosis rooted quite smoking program. You’ve been warned.